It was only a few days ago that online retailer, Merge Games, announced they would be selling a retail version of Terraria, a collectors edition no less. Now another of my favorite indie games from last year is getting a retail special edition, The Binding of Isaac. 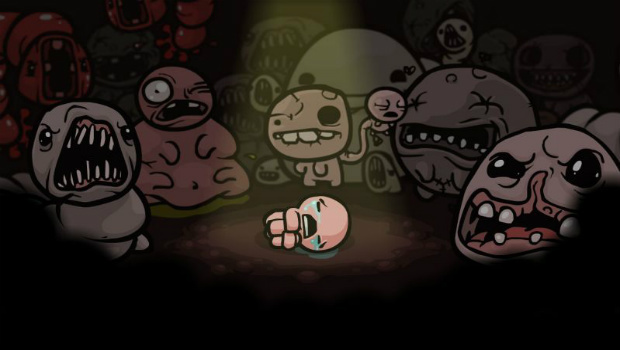 Wee Isaac's battle to escape his mother's basement will be available from Merge Games on March 16th, but only in the UK. This version of the game comes with a Steam gift key, a DRM-free copy of the game, the awesome soundtrack, a grim poster and a 40 page "Devzine." No word on pricing yet. Terraria was around three times more than the Steam version, if that's going to be the case with The Binding of Isaac it's still only a tenner. Not too shabby for a fantastic game and extra swag. While indie games and digital distribution sort of go hand in hand these days, I do yearn for tangible goodies like posters and cloth maps, though the latter would be a bit difficult to make for a game with random dungeons.